It’s a busy time of the year in Victoria BC for theatre. Here’s a recap for this coming week. Written by Sebastien Archibald, and originally presented at the Victoria Fringe Festival in 2006, this play is part of the Spotlight on Alumni. Clark and I Somewhere in Conneticut presented by Intrepid Theatre at the Metro Studio, 2 nights only Friday October 22nd and Saturday October 23rd. Pay What You Can rush seats Friday night from 7pm. “One of the most notorious theatre pieces to come out of Vancouver in recent memory”. Winner of an Innovation Award at the Jessie Richardson Theatre Awards. 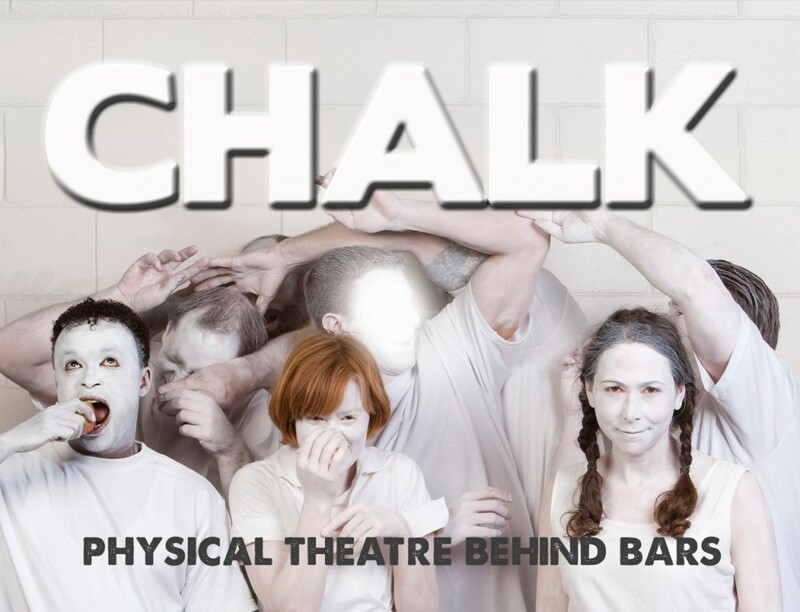 CHALK Phyical Theatre Behind Bars, by SNAFU and WHoS (William Head on Stage) opens Friday October 22nd and runs til November 20th. All tickets must be purchased in advance. See my previous blog post for more information. Count on Theatre Inconnu for challenging work. They never fail to generate discussions. The Cursed Cabaret of Kelowna Day Taylor by Giggling Iguana at Craigdarroch Castle – til October 30th. An original play, writtten by Karen Lee Picket with music by Brooke Maxwell, directed by Ian Case. Please note, this is site specific theatre. You will be moving around the castle. NOT wheelchair accessible. Nevermore, a non-linear musical based on the life of Edgar Allen Poe, opens October 21st & runs til October 30th at the Maritime Museum of BC. Performed by Urban Arts Productions, Victoria’s newest theatre company. This little gem of a theatre is one of Victoria’s best kept secrets. Located across from Abhkazi Garden on Fairfield Road in a quiet residential neighbourhood. Please respect the neighbours, and bike, walk or use transit. If you must drive, please take care where you park. Charlie Ross returns with his one man Lord of the Rings and one man Star Wars November 3-7th in alternating performances as a benefit for Intrepid Theatre. Blood Brothers by The Canadian College of Performing Arts is scheduled for November 12-14 at the Metro Studio.